Leading Exporter of beaded pen stand, beaded key chains, beaded mirror, beaded photo frame, beaded coaster and beaded box from New Delhi. 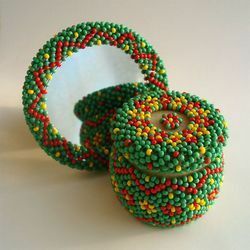 We are the leading manufacturers and suppliers of the Beaded Pen Stand. We are the leading manufacturers and suppliers of the Beaded Key Chains. 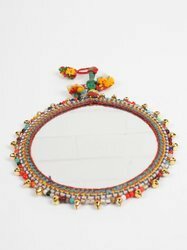 Beaded Mirror Round Mirror for handy use is placed in the fully beaded metal frame. 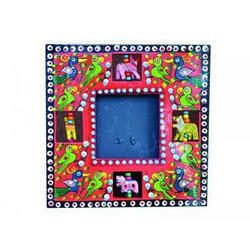 We are the leading manufacturers and suppliers of the Beaded Photo Frame. 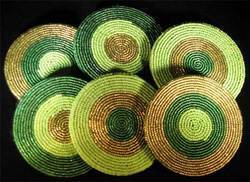 Round beaded coasters are available in different colours and patterns exporter of Beaded Coaster. We are the leading manufacturers and suppliers of the beaded box. Available in set of 2 or 3, or else available in single PCs also.